Do you want a PC with an NVIDIA Ion 2 GPU but aren't keen on shelling out big bucks for one? 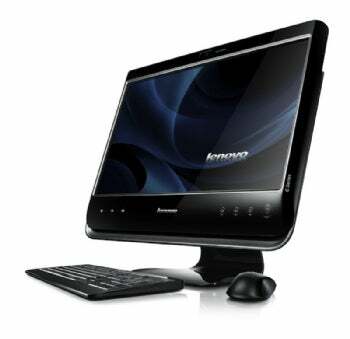 Lenovo announced today the C200, an all-in-one desktop PC featuring not only a touch-enabled18.5-inch 1366-by-768 resolution 16:9 widescreen LCD and a webcam, but also the NVIDIA Ion 2 graphics card. The C200's dual-core Intel Atom D510 processor will handily deal with most Web browsing and word processing tasks, but for 1080p DVDs or Sims3, NVIDIA's Optimus technology will automatically switch on the C200's GeForce G210 GPU. A C200 "lite" version without the Ion 2 GPU and touchscreen will run for $399. Neither model supports Blu-ray, but given the prices are under $500, we're not complaining. The C200 will be available in stores and on Lenovo.com later this month.